At a DeLab (Design East of La Brea) Tour this Saturday, Los Angeles-based firm Lettuce Office shared the epic story of its new solar array for LA’s Occidental College. 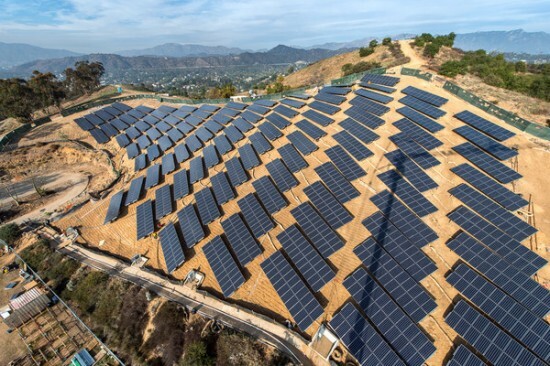 The 1 megawatt installation, made up of 4,886-panels, follows the contours of its hilly site, with its angled panels raised just two or three feet off the ground. To guard against sliding, each set of panels had to be imbedded into the earth via concrete-supported columns. The array was supposed to open two years ago, but infighting at the university over the ambitious design caused considerable delay. In the end, Lettuce’s plans won out, and now the handsome array supplies 11 percent of the university’s power. 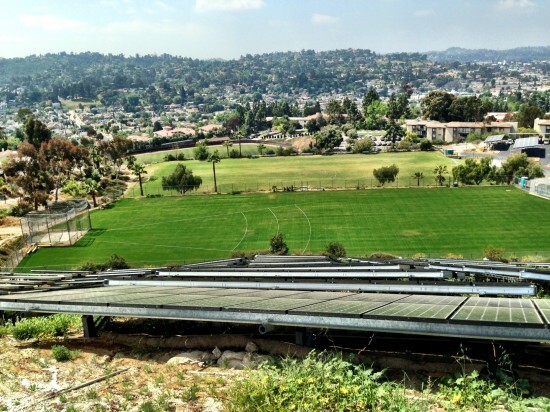 And despite initial objections (the firm was at one point “shouted out of the room,” explained principal Kara Bartelt), the $6.8 million project is now becoming a selling point for both the school and its builder, Martifer Solar. 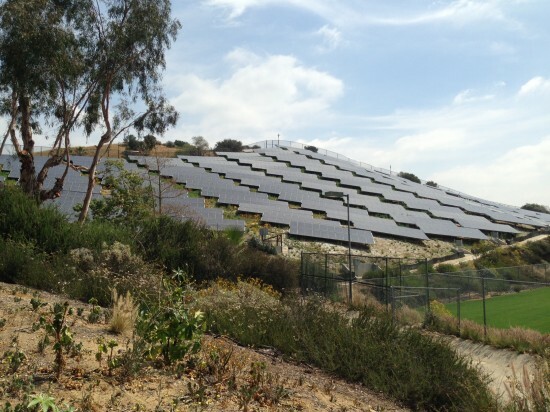 “It represents a new paradigm for arrays as architectural objects that, like buildings, are expected to contribute aesthetically to their environment,” noted Occidental President Jonathan Veitch. 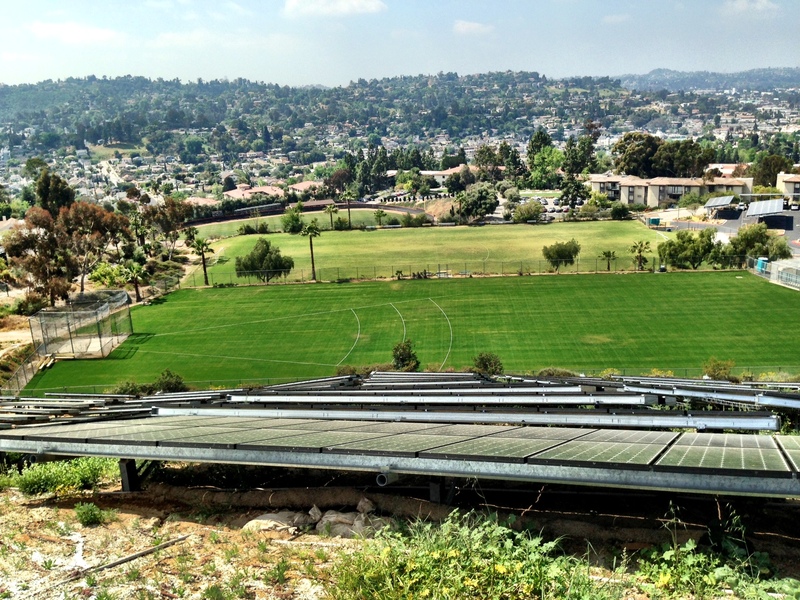 See a live view of the solar field on the university’s solar cam, here.